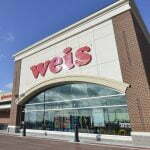 MacKenzie Capital (“MacCap”) is pleased to announce that it has placed a combined $14.38MM in senior and revolving line-of-credit financing on a portfolio of Weis Markets-anchored shopping centers in Pennsylvania’s Lehigh Valley. The sponsor is a family-owned company that has been in business for over 40 years in Eastern-Central Pennsylvania. Through a highly-competitive process, MacCap was able to secure the 75% loan-to-value, 4.15%, 10-year fixed-rate, non-recourse financing providing financial and prepayment flexibility over the term of the loan. The working capital line of credit was unique, providing virtually unrestricted usage on a non-recourse basis. “It was a pleasure working with such fine people as our client, whose sterling business reputation and careful management of these assets helped us to secure outstanding terms,” stated Will Goetschius, Vice President of MacKenzie Capital. For more information about MacKenzie Capital, please visit www.mackenziecommercial.com or contact John Black at jblack@mackenziecommercial.com or 410.494.665; Will Goetschius at wgoetschius@mackenziecommercial.com or 202.341.6474; or, Brendan Harman at bharman@mackenziecommercial.com or 410.494.6656.